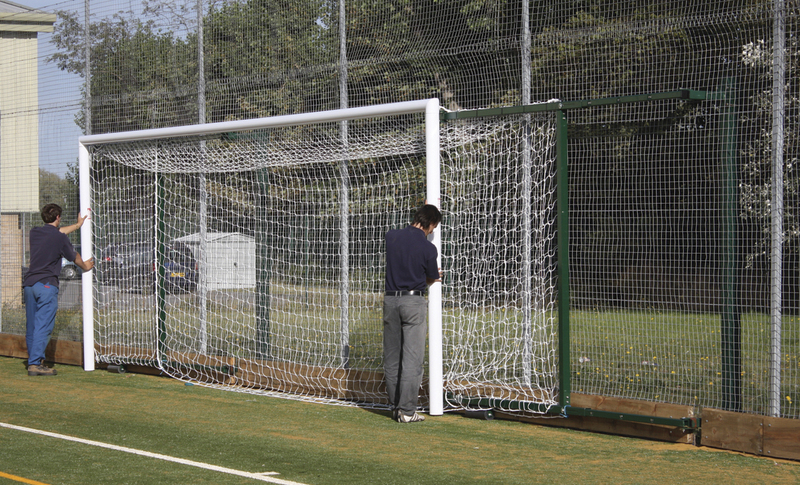 'Mini' version of the Harrod UK stadium goal, as used in many top Premiership venues. Designed and manufactured for clubs and ground staff that regularly assemble and remove goal posts from shared or public pitches. Easily assembled by two adults. Designed as a freestanding goal and is only portable when used with the flip-over wheels. This goal can be moved in one piece by four adults.